have access to zero fees after-hours care. 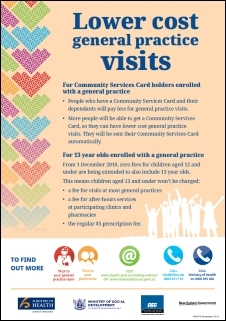 Children must be enrolled with a general practice to be eligible for zero fee visits with a doctor or nurse. For more information see Zero fees for under-14s on the Ministry of Health website.